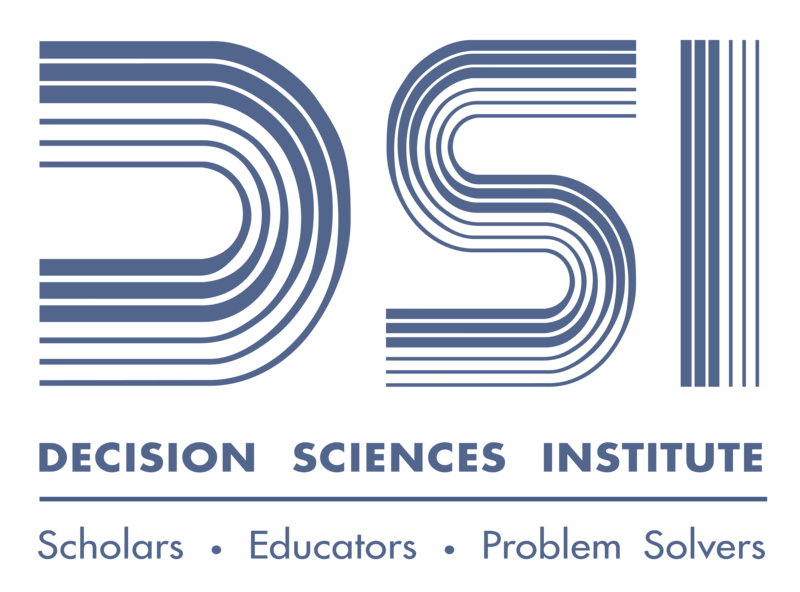 We are pleased to offer the Proceedings of the 44th Annual Meeting of the Decision Sciences Institute. 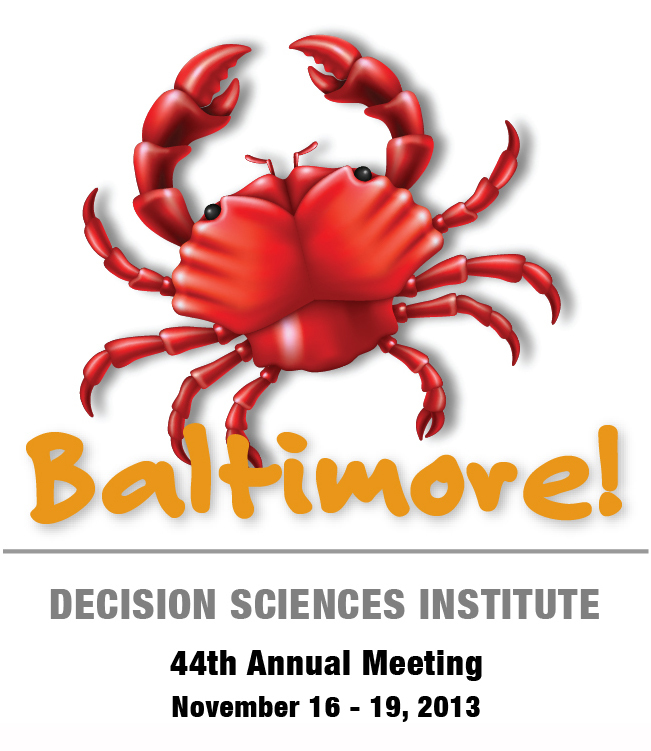 The 44th Annual Meeting is being held in Baltimore, Maryland from November 16-19, 2013. This theme of this year’s meeting is Data Analytics – Rediscovering Our Roots. This Proceedings is arranged to allow you to search for any paper based upon various criteria, specifically, author’s last name, track and paper title, track and session, and keywords. All files are available in Adobe PDF format. This year the Proceedings contains approximately 195 refereed research papers. As in recent years, research abstracts and invited papers are not included. The literature lacks a coherent model explaining the deployment of knowledge during a development project. Based upon the absorptive capacity perspective, a formal model is derived to represent the process of applying knowledge maps and open sharing which leads to a system that is more flexible, responsive and efficient. This case study provides how a Chinese company operates the second hand mobile phone reverse supply chain internationally with the author’s involvement. The related process, collection, procurement, sales, logistics, inspection, and refurbishment are analyzed with an example deal. Findings are useful for both college teaching and company practice. The adoption-diffusion research in sociology describes the process whereby organizational innovation is planned and implemented. Organizational learning: incremental (single-loop) or transformational (double- loop) is required to successfully adopt and diffuse the innovation. The success of accounting innovations depends on the types of learning strategy adopted to implement the innovations. In this research study, a research model is proposed to link key RFID adoption issues with established technology adoption stages suggested by Roger’s theory of diffusion of innovation. The proposed research model can allow better understanding of RFID adoption process and can provide as a platform for future research. As healthcare becomes increasingly digitized, the privacy of people’s health information has escalated as matter of significant concern for the public. Based on a review on studies, this research summarizes the conceptualizations of privacy concerns and other factors. And provide an integrative framework to illustrate the relationships between the factors. Enormous research has been done on QM in western countries. Yet, there is limited QM research in eastern countries. This study replicates the TQM/Six Sigma model in Zu, Fredendall and Douglas (2008) with data collected from China. The findings reveal similarities and differences of QM implementation between China and US. This paper explores the effectiveness and robustness of hybrid Neuro-Fuzzy technique: Adaptive Neuro-Fuzzy Inference System (ANFIS) for time series data prediction in terms of a number of types of fuzzy membership function to stabilize the ANFIS model. DOW30 index data were used to check the performance of the predictive model. Drawing on Venkatesh et al. 2003 UTAUT model, this study looks at factors that influence individuals’ intention to use cloud computing technology. Results of this study indicate Performance Expectancy, Effort Expectancy, and Social Influence to play an important role in encouraging individuals’ intention to use cloud computing technology. In disassemble-to-order systems, randomness of recoverable parts gained from used products creates a challenge for planning. We present a heuristic approach for binomial yields based a decomposition of the underlying non-linear stochastic optimization problem that can be applied to problems of any size. A numerical performance study reveals close-to-optimal results. We propose a novel approach to optimum inventory control by modeling a commodity distributor’s inventory investment as a portfolio of forward commitments. We derive a closed-form solution for the inventory value under an intuitive optimality condition and verify the robust properties of the resulting optimum policy. Job autonomy has a strong influence on many vital workplace outcomes. There has been a call for further model development to aid researchers’ understanding of what moderators influence the job autonomy-worker outcome link. This paper presents a model of how motivating language moderates the relationship between job autonomy and worker outcomes. We propose a multi-dimension service level measurement framework for the production process. In this framework, the service level will be measured from several perspectives; each corresponds to one phase of the manufacturing operation process. The measurements will reflect the characteristics we need to understand production process service level. This paper presents an optimal integrated framework for pricing, process mean (target), production cycle, and fencing investment decisions. The study discussed a production process that produces three grade of products based on their quality attribute. A mathematical model is developed and a multi-objective Genetic Algorithm is developed to solve problem. This paper explores the sensitivity analysis (SA) of PRM tactics within the social media environment using analytic hierarchy process (AHP) approach. The performance SA carried out on the PRM tactics showed that the ranking associated with social media channel options remained robust or insensitive to small perturbations. A NASA engineer’s decision not to send a warning email expressing concern for Columbia’s safety was analyzed in the context of the Person-Situation Interactionist Model. This paper reviews the interaction of variables, including psychological underpinnings, leading to his decision and highlights the ethical responsibility of individuals and management in decision-making. A large public university implemented a cash-based awards program to reward top rated teachers based on student feedback. In this work, we assess the effectiveness of the awards program and also examine the effects of course and instructor characteristics on who applied for and who received the awards. This paper examines the relationship between customer integration and supplier integration and their impact on product innovation capability. The hypothesized relationships of this research model are tested with data drawn from the automotive industry in Thailand by using structural equation modeling. This research tests gender and mobile access differences in users’ perceived security, satisfaction, loyalty, and usage. MANOVA results show significant gender differences in satisfaction and loyalty. The findings show significant mobile access differences in satisfaction and usage of Twitter and Facebook sites. Managerial implications and future research directions are discussed. This study extended the buyer-supplier relationship (BSR) literature by examining how supplier dependence influences buyer firms’ product innovation under the high and low relationalism conditions of BSRs. Using content-analytic case study and survey methodologies in tandem, this study highlighted the innovation-inhibiting effect of supplier dependence under the high relationalism condition. Willingness to pay (WTP) of customers plays an anchoring role in determining pricing policies of a firm. We propose a WTP-based choice model, which explicitly models preferences of a customer. Using real-life data, we evaluate the performance of the proposed model. We derive equilibrium prices and profits in a duopoly. The logic of platform strategy that contributed to the success of walkman or power tool needs to be reexamined when the product is modularized, interfaces are standardized, and derived products are developed and marketed by a group of technologically and commercially interdependent firms. The exercise demonstrates the need for nonlinear regression estimation, rather than OLS for linear transformations and the nonlinear optimization process for nonlinear regression models. This exercise is innovative because the exercise requires students to make the connections between the structure of the model, the model’s parameters, and the objective function. Studies in supply chain quality are few with mixed results warranting more extensive study. This research focuses on ISO 9000 certification impact on supply chain quality in the USA. The research finds that ISO 9001certification is not uniformly distributed by firm size, industry class, or supply chain position. We develop an integrated model to optimize loading and routing decisions of an auto-parts supplier’s outbound supply chain. Three transportation modes, dynamic demands, and limited inventory are some challenging aspects. The results show the impact of customer locations, inventories, and due dates on outbound logistics costs. This study investigates factors affecting behavioral intentions of patients to provide health information. PLS method was used to validate the proposed model. The findings show past experience of privacy invasions, concern for information privacy, risk and trust significantly influenced willingness to provide personal health information in electronic medical records context. Optimal Scheduling Application (OSA) supports an advisor on scheduling students’ courses. OSA is based on the Assembly Line Balancing Problem and developed in Xpress. OSA accepts a starting semester, courses to take and expected semesters to graduation. OSA produces a schedule that minimizes the maximum total credits in a semester. In an operations management course, preliminary results regarding graduate student performance on computer-managed homework versus in-class testing formats are significant. Students perform better on scaffolded questions than open-ended questions. No correlation between online homework and open or partially-open question performance exists. Results have implications for computer-managed homework designers and instructors. This study analyzes differences between treatments of online homework management systems – Required homework, Suggested homework and Traditional, in a graduate introduction to operations management course. Preliminary results reveal significant differences in student performance for open-ended questions but not scaffolded questions. Implications for instructors and computer managed systems may exist. The objective of this study is to maximize the total profit of the entire recycling supply chain. Considering the stochastic property, this study institutes stocking and processing policies for each member of the recycling supply chain to better respond to unknown future demand. Most textbooks fail to address the limitations of using the economic order quantity (EOQ) model in advanced inventory control systems when long lead times and high order costs are present. This paper examines multiple approaches to adjusting order policies, and recommends a low cost, parsimonious, and easy to teach technique. In Pharmaceutical cold chains temperature is closely controlled and monitored. Furthermore, it is critical to retain all informational artifacts associated with raw materials/product. This paper studies costs associated under stochastic demand and probabilistic information handoff conditions. A simulation based optimization approach is adopted for the study. A modified network Data Envelopment Analysis (DEA) model is proposed, which has the ability to (1) evaluate the efficiency of a supply chain as a whole; (2) consider the buyer–seller structure and multiple time periods and (3) handle inventory or delayed that cannot be used directly in traditional DEA models. Teaching problem-solving in many disciplines begins with a well-formulated problem. We add requirements analysis techniques, taking partial problem descriptions and seeking full and unambiguous definitions. A novel approach progressing over multiple courses provides flexibility and critical thinking for tackling complex problems, and offers benefits for academic programs and employers. The purpose of this study is to investigate the relationships between personal concern of information privacy and the intention to provide personal information in the EMR context. This survey was conducted in Taiwan and results reveal concerns for the information privacy would affect intention to provide PHI in EMR context. This paper examines financial statements for U.S. manufacturing companies. The relationship between inventory management efficiency and companies’ profitability is investigated. A regression analysis shows that lower inventory-sales-ratio is associated with higher profit margin. This study recommends that when attempting to improve employee attitude toward organizational change, companies should develop human resources to enhance the psychological capital of their staff.Through the mediating effect of psychological capital,feelings of uncertainty toward organizational change were shown to have a significant and positive influence on OCB. This article examines analytically the sensitivity of optimal ordered quantity and optimal advertising expenditure to changes in the parameters of a competitive inventory-advertising model in a symmetric setting which is supported by empirical analysis. Furthermore, extensive numerical experiments are conducted to assess the generality of the empirical sensitivity analysis results. The success of IS projects depend to a large extent on the users’ involvement and acceptance of the system. IS projects may fail due to users’ resistance in using the system. The objective of this study is to develop a theoretical model for assessing user resistance intention. We compared co-authorship frequency in 12 top-ranked SCM academic journals over ten years to assess patterns over time. We found that dual authorship tapered off over time consistent with institutional and sensemaking theories that academics and practitioners collaborate more in the early stages of the emergence of the SCM phenomenon. This paper modifies the technology acceptance model (TAM) by including facets of the “whole product” such as pricing, supportability, serviceability, extensibility, and viability in the adoption model. Based on a sample of 1,400 users of smart phones and PDA’s, we find intricate paths of causality in forming adoption intention. Ensembles are powerful supervised learning methods. Bayesian Additive Regression Trees (BART) are a successful version of ensemble models. However, computation can be expensive for big data. We discuss two different approaches to parallelizing BART: MPI and a parallel MCMC implementation. Examples from finance and ice hockey are presented for illustration. This paper describes a blending pedagogy that is used in an accounting information systems course. Blending pedagogy refers to face-to-face, asynchronous and popular media usage in course delivery and assessment. Results show students acceptance of this pedagogy; however, the course requires continuous improvement to have wide spread acceptance. The question of whether capitalism’s promises can be achieved across a global economy in a manner that serves all of human kind is demanding a second look. This paper contributes to this discussion by framing the challenge in terms of the broader societal and ethical frameworks within which capitalism operates. We ran the career path of ICT course for new information systems students during the first month of their studies. We present how students’ motivation was developed during the course. The result gives the guidelines to the next evaluation round of the curriculum. The following addresses the recent emergence of the ‘celebrity CEO’ and a proposed relationship it may hold on aggressive competitive behavior. A model is proposed that indicates managerial, organizational, and industry moderators that affect the celebrity CEO’s propensity to engage in aggressive competitive behavior with discussion addressing implications. This paper discusses the 150-hour education requirement for CPAs and how this requirement may have introduced complexity and ambiguity into the legal system. The ambiguities in Utah’s law are used as an example where clarification is needed. Service triads have till date been studied in a generalized form. This study classifies third party direct services in triadic relationships based on their characteristics to derive valuable business insights. The study is conceptual in nature, with the intent to develop further empirically. In many application problems, the records in the data are described by a mixture of continuous and discrete variables. The Chi2 algorithm finds the right cut-offs for the continuous inputs. They correspond to axis-parallel decision boundaries. Accurate and simple neural networks can be obtained by training using Chi2 preprocessed data. Firms recognize the necessity of attaining flexibility by means of looking beyond the borders of their own firm to their suppliers. Building upon the theory of complementarity, this study is to investigate complementary effects of supplier flexibility and supply network flexibility on a firm’s performance. Conceptual Model for Information Technology Diffusion and Adoption in Large Enterprises in Iztpalapa, Mexico City. This paper presents the development of a conceptual model used as a theoretical guide for identify the organizational, technical and environmental factors that have motivated organizations to adopt IT. Data collected from a survey in Large Enterprises in Iztapalapa, Mexico, are used to test hypotheses between factors and IT adoption. A hybrid deployment of IDS and IPS on the organizational network would be a best practice. This paper describes the importance of defense in depth and security best practices. This paper provides suggestions of IDS and IPS hybrid solutions that could be employed by organizations for their internal IT infrastructure. IT vendors employ program governance techniques to minimize risks associated with conflict among a variety of clients. We consider the management of conflict risks across multiple projects combined as a single program. We first propose a probabilistic response model that has many desirable properties. We then show that these parameters can be estimated by the method of maximum likelihood. We finally fitted our response model to a mail survey data to show its outstanding performance. To screen consumer loan applications, loan officers use many different methods besides intuitive judgment and experience such as credit-scoring models, traditional statistical models and artificial intelligence methods. This study proposes the development of a decision support system that uses a combination of data envelopment analysis and neuro-fuzzy systems. This paper presents a model of how decision-makers are subject to anchoring effects when presented with probabilistic data and then analyzes the effects of various factors and techniques to mitigate such bias. We found that providing domain knowledge worked best in reducing anchoring bias. This paper presents the growing imperatives of managing risks in global food supply chain of a focal firm. We proposed a multi-criteria decision making (MCDM) model to examine sensitive analysis of the most important disruptive influences in the focal firm’s food supply chain. We measure the risk aversion of finance major students in the context of investments and trace this attitude to their financial literacy, their perception of the risk-return tradeoff, and their sources of financial information. We find statistically significant relationships between risk aversion and all three of these antecedents. Previous research on ‘value chain analysis’ (VCA) methodology has focused on process aspects of value chain. This research makes the methodology robust and innovative by including elements that extend its application to the analysis of supply chain structure. The new approach is tested on a value chain network design problem. Distractors are the incorrect answer options of a multiple-choice question with their effectiveness warranting analysis. This study examines the ability of distractors in several published question banks to discriminate between better and poorer students. We analyze the benefit of diversifying distributor into multiple tiers for the healthcare service provider under stochastic medical supply shortages when a medium-tiered distributor promises a ‘cut-out’ or additional allocation of purchase order from the healthcare provider. We model it using two stage-stochastic programming to obtain optimal volume mix. The session will begin with a brief introduction of each Journal. Panelists will then provide an overview of shifts in topics, theories, and methodologies over the past 20 years and engage in a discussion of current topics and innovations. The editors will offer recommendations for prospective authors. We investigate whether managers’ depth and breadth of experience in project-based settings affect the efficiencies of both managers and the workers whom they supervise. While confirming that past results can be extended to the managerial level, we demonstrate that these effects are different when tested across organizational levels. This study evaluates the technical efficiency of airlines, across cost structures and service types, operating in India over a ten-year period, 2001-2010 using standard Data Envelopment Analysis (DEA) and Input Efficiency Profiling models. It also assesses the impact of the significant entry of private airlines on the efficiency. Engaged employees exhibit better performance and produce better organizational outcomes also in the public sector. In this paper, we intend to explore the impact on the engagement of public servants of transactional and transformational styles of leadership as mediated by the organizational climate the leader supports. Healthcare providers are under pressure to improve performance by implementing electronic health records. Little is known about how to effectively implement EHR and outcomes have been mixed. We examine information sharing and information quality as mediators of the EHR – physician performance link in a sample of 302 USA hospitals. Geographic information systems (GIS) are increasingly being combined with operations research (OR) to solve complex problems in many industries. We investigate OR-GIS literature and provide taxonomy of articles in this area. Paradigms of integration of OR and GIS are examined to understand the value added by GIS in OR. We respond to London & Kenley’s (2001) call for more empirical studies to understand the construction industry as a whole. Using the value chain concept, we examine the relative power of industry players with primary and secondary data. The objective and perceptual measures of relative power show similar results. This paper develops a research model to examine the relationships between e-service quality, perceived value, and customer loyalty. Data from a survey of 235 online consumers are used to test the research model. Multivariate statistical analysis techniques, such as exploratory factor analysis, multiple regression analysis, and MANOVA, are employed. Using data on Chinese listed firms between 2000 and 2011, we find that Chinese executive pay dispersion is negatively associated with early voluntary disclosure and regional marketization level, positively associated with foreign-control, industry norm, and industry discretion. We also find Chinese executive pay dispersion is positively associated with firm performance. Based on the organizational ambidexterity theory, we identify two classes of supplier development: explorative and exploitative. Additionally, we introduce a research model for examining their determinants and outcomes. Furthermore, we advance a set of propositions regarding variations in determinants and outcomes across the two classes of supplier development. Online social media use has penetrated into people’s life. The internet users are no longer the passive information receivers. Rather, they are the active Web participators. This paper proposes a research model to depict how age differentiating social media use based on social capital theory and network effects. Drawing on social capital theory, this study uses a sentiment analysis approach to investigate the impact of social media usage by supply chain partners on supply chain performance. The findings suggest that higher usage of social media by supply chain partners result in better supply chain performance. This paper presents a dynamic integer programming model to strategically choose facility layouts for MicroPower operations. MicroPower bought a new building to relocate its operations, optimize the production of its wafers, and plan for the company growth over the next three-years. Several scenarios were solved using Risk Solver Platform software. The purpose of this study is to investigate the influence of perceived risk and perceived benefits to behavioral intention in M-banking. A survey methodology was adopted and a total of 171 valid questionnaires were collected. The findings indicate that both perceived risk and perceived benefits will affect M-banking acceptance. This paper shows how to download weekly exchange rates from the internet to determine if the rates are time dependent or serial correlated. We find that levels of the Dollar/Euro exchange rate exhibit spurious correlation and changes in the exchange rate do not follow a random walk. When forecasting “White Swans” there are quite a few options in our arsenal. For “Grey & Black Swans” we argue all you can do is to scientifically provide the horizon within which you expect at least one to appear; but even this is critical for informed decision making. This paper compares several methods of forecasting the S&P 500 Index using data based on closing values over six decades. Methodologies include decision tree, neural network and seven forecasts based on training set patterns of directional change. We find the neural network yielded the most gain overall. This study proposes a process model on why CEO founder status is positively related to CSP. We propose that founder-CEOs can enhance the level of CSP by emphasizing transformational leadership and long-term orientation in their decision-making. We conclude with discussion of the contribution of our theoretical model to future research. Recently, concerns about social and psychological effects of excessive use of mobile phones by individuals are growing. The goal of this study is to investigate whether mobile phone adoption factors can also lead to mobile addiction. This paper proposes a model for mobile addiction based on technology adoption literature. Designed to enhance motivation and engagement, gamification has been implemented in different ways in a variety of educational settings. This paper provides an assessment of the state of gamification in education through the review of arguments in favor and opposing, as well as a survey of existing implementations. The proposed study presents a methodology to map supply chains on sustainability and transparency dimensions. Using graph theoretic approach proposes numerical indexes based on key variables that would affect sustainability and transparency in a supply chain. The proposed methodology was tested for case supply chains and the results are discussed. In this paper, we build economic models to study how supply chain choices interact with a firm’s green products and process design strategies. We also study impact of green process and product strategies on product green attributes (“greenness”) under different supply chain structures including centralized and decentralized competing supply chains. Multinational enterprises (MNEs) play an important role in global markets. Many factors can affect an MNE’s performance. It provides propositions concerning the moderating role of cultural distance between OCB and MNE performance by looking at South Korean subsidiaries operation in the maquiladora. SMEs are optimizing their website to improve their ranking on the search engine result pages to enhance their business visibility. Search engine optimization (SEO) allows SMEs to improve their market exposure and compete with larger companies. The study was presented through three case studies to gain insight for adopting SEO. This paper examines the impact of transformational leadership on organizational learning and supply chain ambidexterity. Results from our analysis support the notion that organizational learning behaviors fully mediate the relationship between transformational leadership and supply chain ambidexterity. We identify several key performance indicators that affect the cost and service of health care providers when VMI system is employed in Hospitals across USA. We propose to conduct an empirical research for several hypothesis stated in this paper. The purpose of study is to understand how acquisition decision makers perceive life-cycle affordability when making product selection decisions. This paper introduces affordability as performance-cost tradeoff based on consumer behavior and decision-making theories. The research finds it is beneficial to use available life-cycle affordability information in acquiring products. This study proposes a research model to evaluate the direct impacts of major components of comprehensive information security programs on security culture. The proposed research model and the empirical research results can be used to evaluate the effectiveness of and, when necessary, improve the design of comprehensive information security programs. Cloud computing is the fastest area of application within the information systems field. We examines the existing opportunities and challenges in cloud computing environment and then offer eight checklists for managers to consider before adopting this technology. If these checklists are carefully analyzed they should increase the chances of success. Emergency preparedness and response time are key indicators of effective emergency response operations. We explore the linkage between organizational structure, knowledge of location, incident type and key emergency response measures. Factor analysis, ANOVA and MANOVA are used to analyze 12057 incidents over 9 years recorded in a Fire Program Database. Consumers demand information about product sustainability, pushing for government actions and private regulations. Both approaches can benefit from applying information technologies, but sharing information may also prompt conflicts of interest among stakeholders. We propose using convention theory and case studies to analyze potential conflicts and possible ways to overcome them. Information sharing is considered an approach to improve the performance supply chains through promoting interorganizational collaboration as well as intraorganizational collaboration. The aim of this paper is to study the effect of information security and information quality on the link that ties information technology enablers and supply chain performance. This study examine how the integration of marketing and innovation capabilities enables firms to compete in dynamic markets and enhance performance. In addition, we seek to understand how small, medium, and large enterprises build their dynamic capabilities, and provide suggestions on the development of organizational capabilities under high industry competitiveness. Trust could guarantee that a formed alliance delivers success and this study focuses on for whom it deliver higher success. A survey among 235 publicly-listed firms in Taiwan indicates that shadow of the past and future contribute to trust and alliance experiences moderate the effect of trust on alliance success. To compliment learning the techniques of project management, students are often introduced to project management software (e.g. Microsoft Project, Merlin, Open Project). The Lightning Drive-in Project provides a framework for students to work individually with project management software to develop and analyze a project plan. Is Personality a Key Element of Six Sigma Project Success? Many quality improvement techniques, including Six Sigma, rely on teamwork. Little of the research on personality and teams has been incorporated into quality management theory and practice. This paper summarizes the pertinent personality literature with Six Sigma research and describes a multiple-case study to be completed in Summer 2013. PLS has seen popular for many years across several disciplines. Many users examine their models via PLS but fail to understand whether the use of PLS is wise given their model specification. The two panelists will discuss the merits and caveats of using PLS. We investigate a joint pricing problem on new and refurbished items. We propose six different closed-loop supply chain structures and compare their different characteristics and performances. Then, we suggest a guideline for the structural changes by considering the fixed operating cost issues due to the integration and/or outsourcing of processes. Knowledge management literature has been growing but is now showing sign of deceleration. This study compares published literature from ISI Web of Science and Google Scholar to determine whether or not KM is a fade. This review compares 12,434 articles in ISI Web of Science with 33,600 in Google Scholar. The purpose of this paper is to propose a conceptual model along with ten propositions for the learning studio classroom environment. The premise of learning studio classrooms is that knowledge is constructed by students engaged in a meaningful conversation with each other about the subject. This paper is concerned with the strategic management of manufacturing networks, using data from more than 100 manufacturing plants. We find that plants with higher levels of decision autonomy have significantly higher levels of site competences than plants with other decision-making structures. Logistics facility location decisions are difficult to make as all parameters pertaining to the problem may not be deterministic. In this study, we demonstrate how Fuzzy Analytic Hierarchy Process can be employed to identify the optimal facility location site for a logistics company. We test our research hypotheses by using the simultaneous equations system approach to expand the traditional satisfaction-loyalty chain to further consider the simultaneous relationships between trust, satisfaction and loyalty. The results suggest that relationships between satisfaction and loyalty and between trust and loyalty must be determined simultaneously, rather than sequentially. To better understand the true value of customers and to provide appropriate levels of service to each customer segment, customer segmentation should be done based on clear business objectives. The purpose of this research is to evaluate customer complaints to maximize customer satisfaction by shortening the duration of after-sales service. Antigo, an IT services provider, uses prevention and appraisal costs to ensure the highest level of quality. Failure costs equate to large decreases in revenue, lost clients, and ultimately a damaged reputation. This paper focuses on the method Antigo uses to minimize failure costs through incurring prevention and appraisal costs. This paper provides an innovative way of defining the proxies for intangible assets of a company. We propose that the content produced about a company in social and traditional media shall be included to the existing list of intangible asset proxies to better predict the market value of a company. This paper proposes a novel method (MCGL) for MCDA (multi-criteria decision analysis). The simple preference elicitation in MCGL improves the performance of the decision maker (DM). The usage of descriptive theories of decision making to process these preferences increases the accuracy of MCGL in modeling the choice behavior of the DM. Hospital managers need to understand that service quality may have a significant impact on many important aspects of hospital operations. The purpose of this study is to measure service quality in hospital operations and to evaluate the perception of hospital services by patients. This work-progress-paper examines the use of m-government in the application of healthcare initiatives in developing and emerging countries. This study develops a theoretical construct called the m-government in healthcare index (MGHI) and examines it using multiple data sources. Implications and future directions are discussed. This paper considers a problem in which there is a set of jobs to be sequenced on identical parallel machines. Each job has a weight and the objective is to sequence the jobs to minimize total weighted squared tardiness. Several dominance conditions are presented for inclusion in a branch-and-bound algorithm. This study analyzes the privacy concerns of mobile users in US and Korea. The study revealed that out of 10 activities emailing and mobile payment are the only two that were conducted by more US users than Korea. Importantly, the Korean sample showed less privacy concerns than the US sample. We suggest motivating language acts as a mediator to transmit servant leadership traits and enhances the impact servant leadership verbal behavior has on employees’ performance. In the proposed model, motivating language acts as a full and a partial mediator. We categorize three distinct outcome sets that emanate from this relationship. PLS is a popular software that offers several advantages over other SEM software packages. In this session a variety of new developments regarding PLS will be discussed and tangible examples will be offered. A fairly large number of academics are using structural equations modeling. Several novel approaches and techniques will be discussed and practical examples will be offered. The level of presentation for the workshop presumes some familiarity with the basic principles of factor analysis. No prior familiarity with the Mplus software is assumed. The present study adopts a technology–organization–environment framework to discuss the effects of company openness on service innovation. The role of knowledge creation is proposed as a mediating factor in the relationship between openness and service innovation. We investigate the relationship between organizational slack and new product time to market performance using a sample of more than 1400 product introductions over a 24 year period in the computer modem industry. We find that greater levels of organizational slack are related to earlier product introduction. This paper addresses a patient scheduling problem in the pathology laboratory. Because of partial precedence constraints of laboratory tests, the problem is formulated as a semi-online hybrid shop scheduling problem and a mixed integer linear programming model is proposed. Also, a genetic algorithm is developed for solving the problem. This article focuses on the effects of knowledge sharing intention by examining the self-regulated learning processes of goal setting and self-efficacy. We adopt social cognitive theory to examine how extrinsic and intrinsic motivation affect the knowledge sharing intention. A multi-objective maintenance scheduling model is used to evaluate computational performance of five multi-objective genetic algorithms. The algorithms were ranked based on different performance measures. It is found that the NSGA, MOGA, and NSGA-II outperform over VEGA and NPGA in obtaining more, better, and diverse set of non-dominated solutions. This study designed and constructed an Epidemic Prediction Market System with Market Scoring Rules matching mechanism. The system was used to predict infectious diseases with collective wisdom from 126 medical professionals during thirty one weeks. The results showed that EPMS can continuously update data to improve the performance of prediction. This article explores the consumers’ needs for mobile social network applications by applying the uses & gratification theory and its impact on privacy preferences. The research aims to help marketers tailor their use of these applications to consumer needs and privacy preferences. Explicit and implicit links between product and supply chain structure are suggested in the literature, but to date remain untested empirically. Using primary data from the automotive sector this manuscript investigates the impact of product structural complexity and supply base complexity from the perspective of Transaction Cost Economics. We propose a method to randomize efficiency scores in DEA by treating each score as an ‘order statistic’ of an underlying Beta distribution. We use Thompson et al.’s (1996) DEA model with Assurance Regions (AR) randomized by our ‘uniform sampling’, in an application to a set of banks. The paper presents on how manufacturing cost were further reduced during crisis period using ‘Difficulty and Impact Analysis’. The paper identifies the parameter where maximum effect could be brought in terms of cost cutting. It was found that energy costs could be saved significantly. This study applies vulnerability analysis and assessment methods on the vulnerability of regional development of Guangdong Province in China during a period from 2005 to 2010. This research finds that the average growth of exposure-sensitivity (Si) index is close to two times as the average growth of adaptation capability (Ai) index. This study reexamines the relationship between PE ratio and earnings growth rate using the abnormal earnings growth model. We show the decreasing effect of growth for PE on the risk side dominates the increasing effect for one subgroup of firms. We identify a positive correlation between PE and growth rate. With decreasing product life cycles, more stringent environmental regulations, and potential profits, remanufacturing products has received added attention. Remanufacturing disassembly lines offer greater throughput with higher productivity. However, balancing disassembly lines is not free of problems or “complications”. We review these line balancing “complications” and our progress in solving them. The panel will discuss the challenges and opportunities of publishing papers in top journals the field of management information systems. It will discuss the existing state of research and offer directions for future research. The panel will identify “hot topics” and relevant methodologies. The panel will discuss the existing state of research in the field of supply chain management and offer directions for future research. Opportunities for research across a variety of domains will be identified. The panel will identify “hot topics” and relevant methodologies. This study will develop a decision making framework using data mining tools including decision trees, advanced regression technique, and heuristic solution method for customer relationship management (CRM). A significant advantage of this proposed approach is the ability to yield more meaningful results than previously achieved in a variety of settings. This presentation explores the different types of innovation. Specifically, based on detailed case studies and grounded theory approach, this study proposes a framework consisting of four different innovation strategies. For each strategy, a different supplier/procurement strategy is needed. The presentation provides a series of propositions aimed at encouraging research. We analyze a tourism supply chain using game theoretic approach in four channel power scenarios. We find only in the Stackelberg- travel agents dominated scenario, travel agents would choose revenue sharing contract instead of wholesale price contract offered by theme park and make different pricing strategies to gain higher profits. We apply the Latent Semantic Analysis to examine the cross-disciplinarity of revenue sharing from a holistic perspective. We find revenue sharing research is characterized as six research themes covering the contexts of governments, sports and supply chain. Commonalities and differences of revenue sharing mechanism across these contexts are discussed. Errors impact quality, safety, and managerial decision-making, and controlling them requires a sound classification system such as the Generic Error Modeling System (GEMS). Unfortunately, GEMS has certain ambiguities that cause difficulties when using it to classify errors. The paper draws on evolution and neuropsychology literature to resolve these ambiguities. According to divergence theory, employees imbibe nations’ culture which may affect organizational delivery. We study the role of nations’ culture (Hofstede’s dimensions) on in-flight quality content, an infrastructural service (using non-perceptual, global airline dataset). Individualistic cultures have negative effect while masculine cultures have a positive impact on in-flight quality content. Martin Schuster, Audi Hungaria Motor Kft. Many believe that it would be advantageous to tackle risks with early in the life-cycle, proactive approaches rather than reactive or contingent approaches. We conduct a case study to track risk roots in an EIS back to mismatches among the four dimensions of the socio-technical model. This article evaluates the learning outcomes from a lean classroom exercise. Teams produce a product consisting of a half-sheet of paper with colored dot stickers attached in specific locations. The results of the game are consistent with students gaining a better understanding of the principles of lean at the conclusion. This paper estimates the empirical significance of key service network design decisions in the domestic airline industry. The model tests the significance design decisions including network centrality, fleet complexity, and operations scale for airline profitability. This study investigates how the top leadership in an organization influences the Six Sigma success. Drawing on Authentic leadership (AL), and Behavioral Integrity (BI) theory, a cross-sectional survey methodology was used for its analyses. Preliminary results suggest that Al and BI significantly and positively influence Six Sigma outcome. This research proposes a new conceptual framework of supply chain integration by examining the role of socialization in supply chain management, specifically about how socialization affects relationship and inter-organizational communication between buyers and suppliers, and how buyer-supplier relationship and inter-organizational communication enhance buying firm performance. I have been working in the field of vehicle routing for nearly 40 years – both as a developer and vendor of vehicle routing software and as a researcher. In this talk, I will present and discuss some specific and important vehicle routing research topics that are ripe for investigation. The purpose of this paper is to empirically examine whether founder-CEO led firms significantly differ from non-founders in their strategic choices. We tested our predictions on 111 U.S. firms between 1985-2010. The results of our analysis indicate a statistically significant difference in the level of merger & acquisition intensity. This paper examines how the threat of imitative products affects the pricing strategies and profits of an innovator in a two-period framework, which captures the dynamic interaction between the innovator and the imitator. Even after fifty years of studies of innovation, understanding of the effects relationship between innovation and organizational performance are still unclear. Based on five streams of strategic management literatures, this study proposes a multilevel, configuration, change-dependent framework that can provide insight into the relation between innovation and organizational performance. For many SMEs the focus on supply chain has been driven by survival issues. Based on extensive literature review we designed a seven-area SCM practices framework and evaluated SMEs in Southern Massachusetts through a survey mechanism. In order to strengthen the interdisciplinary business education, we introduced the Supply Chain – Marketing (SC-Mark) Shark Tank experiential lab game for our 161 undergraduate students in ‘Advertising and Promotion Management’ and ‘Supply Chain Management’ courses; and measured its effectiveness both qualitatively and quantitatively. The purpose of this paper is to develop a mathematical optimization model to be used as a decision support tool for the supply chain planning at Perstorp Oxo AB, a global company in the chemical process industry. This paper, drawing from literature, seeks to develop and empirically validate a theoretical model to link the supply chain strategy, core operational functions and performance on data from 296 companies from India and Pakistan using structural equation modeling. The study discusses empirical findings and concludes with future research directions. Sustainable supply chain management (SSCM) focuses on improving processes for compatibility with 21st century needs, including eliminating waste, using environmentally friendly processes and products, minimizing use of hazarous materials, recycling products, and good stewardship throughout the life cycle. This project surveys aerospace and defense suppliers for use of SSCM practices. PCN (Process-Chain-Network) Analysis is a powerful tool for documenting service processes and exploring service innovation opportunities. This session will show how you can teach service innovation in an effective and engaging way using this tool. Hands-on materials will be provided for your classroom use and innovation exercises will be demonstrated. This paper builds on prior work examining dilemmas faced by regulators seeking to enhance service provision in the Health, Telecommunications and Mining sectors. In particular, it explores dilemmas and conflicts faced by regulators in addressing issues of universal service pricing and the use of price caps in the Telecommunications sector. The objective of this case is to illustrate Tetra Pak’s sustainability strategy, its implementation in supply chain management, and challenges the company faces in a maturing industry as local competitors become ever more sophisticated in business operations. We examine trust, cultural distance, and institutional distance’s impact on cross-border alliances. We find that alliances form with higher trust and shorter cultural distance. Contrary to the literature, we do not find institutional distance reducing the propensity to form an alliance. The results are based on 315 country-pairs. This exploratory research examines more than 500 s/w development global projects and finds that quality is influenced by team size and technical factors such as method used and underlying architecture. The difference in antecedents of quality between projects implemented in earlier and in later periods is significant. The traditional tools used in project risk assessment fail to present a complete risk view. We propose an adaptation of the Quality Function Diagram to assist project planners in assessing project risk a greater detail. This study developed an instrument that identifies and measures the primary dimensions of individuals’ concerns for their privacy in EMR context. A survey methodology was utilized. The results indicate that collection, inadequate access, secondly usage, error, control, and awareness are the six dimensions to measure the concerns for information privacy. The current study conceptualizes how the Board of Directors’ Depth and Breadth will impact the firm’s innovation outcomes (types of innovation and degree of novelty). The paper proposes the firm’s strategic orientation (exploration vs. exploitation) and transformational leadership as moderators to the relationships between board capital and innovation outcomes. This study examines the effect channel integration on online channel performance. Only in-store returns of products purchased online has a significant effect on online channel performance. Thus, firms interested in deriving value from channel integration strategy need to pay more attention to how they can streamline and coordinate cross-channel processes. We explore the effects of exposure to entrepreneurial role models and the preference for either growth ventures or life-style ventures. Hypotheses are drawn based on social learning and social comparisons theories to examine which better explains role model effects. Analyses are based on a sample of students in business courses. The study is to determine how different stresses are associated with academic performance among Hispanic undergraduate students. Using confirmatory factor analysis and multiple regression analysis, the study discovers that only academic stress is negatively associated with GPA. Neither non-academic stress nor in-between stress is significantly associated with academic performance. This study, adopting a multi-method approach, investigates the relationship between the level of implementation of lean systems, the adoption of a set of “high involvement” management behaviors and sustained financial performance, controlling for such variables as the duration of the “lean journey” and the size of the firm. An online Adobe Flash game has been created to demonstrate the behavior and managerial control of an inventory system where orders are placed with a fixed order interval strategy. Students determine the order interval and the target inventory in an effort to minimize costs. Demand is stochastic with backorders allowed. We review literature about decision making in supply chains, focusing on cognitive bias for inventory management. We present a model of the effects of one cognitive bias: a tendency to embrace good news while discounting bad news. We conclude with techniques to diminish these effects, and some empirical future directions. This paper develops and empirically tests theory on the impact of IT investments made by customers on focal firm’s productivity. It is found that in general an increase in IT investment made by customers is associated with an increase in the focal firm’s productivity. This study investigates the relationship between human resource performance management and lean transformation success. Data was collected via a survey of managers and executives from organizations in various stages of lean transformation. Results suggest that selective hiring practices and employee development positively influence lean transformation success. This article aims to study the relationship between the corporate market value and intangible assets not recorded, in order to verify the existence of a negative relationship. This study examines the effects of investments in manufacturing practices on operational and quality performance through process efficiency, based on data from the 4th round of the Global Manufacturing Research Group (GMRG) survey. We examine the structural characteristics of supply chains as networks and investigate how supply network structure impacts firm innovation. We test hypotheses using data on supplier and customer relationships in the electronics industry. Our findings suggest direct benefits arising from supply network accessibility and partner innovativeness towards a firm’s innovative output. This study aims at verifying the universal applicability of total quality management (TQM), across national boundaries. Specifically, we have examined the validity of the isomorphic nature of TQM-leadership style by comparing samples consisting of both, USA-based and China-based firms. A survey and SEM were adopted to test our hypothesized model. This paper has the objective to evaluate the influence of Competitive Strategy-CS and the use of Information Systems-IS on business Performance through the technique of multidimensional factors in structural equation modeling. The questionnaires were applied 108 Brazilian companies and the results indicate high influence between IS, CS and Performance. Central to the Japanese Keiretsu business model are the main industrial banks, which play a primary role in corporate governance. However, global capital and international accounting standards may have eroded their influence. This paper investigates the influence of banks, capital markets, and accounting firms have on earnings manipulations in Japan. We investigate the relationship between top management team age, international experience, educational level, and functional background and international diversification for 83 Malaysian companies using the entropy method of Qian (1996). Age and functional background have a statistically significant positive association with a high level of international diversification. This study examines the influence of top management characteristics, i.e., strategic planning capacity and entrepreneurship orientation, on senior managers’ innovation adoption decision tendency. Subjects are experienced business professionals from the U.S. and China. The results suggest that the alignment of these characteristics influences innovation adoption decision in both cultural settings. 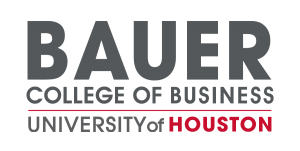 In the Integrative Business Experience students take four courses, get a bank loan, start-up a business and use the profit to finance a hands-on community service project. IBE student businesses have received $110,025 in loans, generated revenue of $416,298 and a profit of $229,058 and given 15,796 hours of service. In service industries where demand is variable, process flexibility is critical to a business’ overall performance. One method of providing additional capacity is to cross-train service workers. This paper examines both the benefits and the drawbacks to cross-training, while taking into account the effects of learning and forgetting. Over the past two decades, empirical research in Operations Management field has been increasing. The discussions in the literature imply that replication research is considered as “second class research.” We investigate replication studies in the field of operations management focusing on types of replications and issues to provide further insights. The relationship between follower perceptions of the leader using a cooperative conflict management style and follower perceptions of leader effectiveness, satisfaction with the leader, and willingness to exert more effort at work are studied. The findings suggest significant relationships between a cooperative conflict management style and follower perceptions. This article examines if there are relationships between Just-in-Time (JIT) practices and alignment of benchmarking performance measures. A set of six hypotheses was used to examine if there are differences between conventional and JIT companies in setting organizational goals and objectives, building core competencies and competitive capabilities. Study investigates the role of coworker and supervisor support on the three aspects of burnout. Social support can influence these three aspects differently. The results from partial least square regression show coworker support negatively associates with emotional exhaustion and depersonalization, while supervisor support negatively associates with lack of personal accomplishment. Mobile Ad Hoc Networks (MANETs) are wireless networks of various devices. MANETs face challenges and unique security needs that are not adequately addressed in most situations. This paper describes MANETS in today’s computing environment, and enumerates the unique security constraints and needs. This paper provides overall suggestions for securing MANETs. Pedagogical interest in developing student critical thinking is an important concern in theory and practice. This paper contributes (1) to pedagogy literature by proposing a Teaching Critical Thinking Methodology (TCTM); (2) by sharing experiences in implementing TCTM in a real course; (3) by collecting, reporting and testing evidence of results. This paper draws from the social capital and managerial cognition literatures to argue that some firms adopt a threshold mentality due to the composition and nature of their social networks, and that the relationship between social capital and threshold mentality is mediated by managerial interpretations of external cues. This paper introduces a new model of managing crisis situations, which is based on the feedback structure of decision making and learning common to adaptive systems. Integrating multiple elements from other models, our model enhances communication and decision-making among many the stakeholders that must cooperate to resolve a crisis situation. Most of the models of Organizational Performance have been applied in developed country environments, which differ in terms size and the complexities from the economies of a developing country like Ghana. This study sets out to develop a model of High Performance Organizations (HPO) in Ghana. In this paper, we attempt to design and develop models using Auto Regressive Integrated Moving Average and Radial Basis Function Network. The models were tested on the DOW30 and NASDAQ100 index funds. The results of both models using two techniques are quite appealing. Data collected from 338 health care workers were used to test a model that inspiration, memory, and inspirational memory affect end user intention to adopt a digitized patient record software application. This paper introduces key drivers that affects end user intention to use a digitized patient record technology. Dynamic Capabilities (DC) can be seen as one of the underlying theories in the search for understanding of competitive advantage. However, it is unclear how the DCs develop and operate within organizations. Through a literature review, we identified the main aspects of DC and suggest propositions regarding theoretical aspects of DC. Radiologists are under pressure to lower costs, improve efficiencies, and integrate better into managed care information systems. This study watched six selected radiologists at work in an effort to better understand how they work and to suggest improvements in individual workflow that might increase sagging reimbursements. This study develops a research model to examine the external effect of social networking site quality on user satisfaction, intention to reuse and social benefits of social networking services. Based on a survey of 322 participants, this study uses a structural equation modeling approach to investigate the research model. Personal health record systems allow users to be active in their healthcare management. The objective of this research is to determine the factors influencing users’ acceptance of PHR systems to enable their activeness in making healthcare decisions. Pinterest is an online board that allows people share images they find on the Web. Since its creation the number of members has grown significantly especially among women. This study will use the Uses and Gratifications Theory as a framework to understand members’ motivations for using Pinterest. We conducted experiments to gain insight into how well partial backordering models with a constant backorder rate approximate the performance of models with a linearly increasing rate. We conclude that the simpler model with a constant backordering rate can perform virtually as well as more complicated models under most conditions. An active learning project (self-generated elaboration) was studied. Students participated in learning process by organizing information on selected governmental-accounting topics. Short-term and long-term effects were examined. Student perceptions were investigated using a survey. The Project appears to be a good method of teaching graduate-level governmental topics that are moderately complex. A previously proposed adaptation of Croston’s Method by the authors that adjusts forecasting methodology for two demand levels is tested on three rates and six switching points. The approach outperformed Croston’s and SES in simulations and improves as the demand rate and periods of no demand required to switch decreases. The linear and nonlinear valuation model to simulate the effects of non-diversifiable jumps imposed on the value of financial derivatives was given respectively, and the closed form solution was deduced under some conditions. A key term also was introduced to demonstrate the tremendous effects of non-diversifiable jump on the derivatives. This study simulates the impact of different methods to represent project interdependency data on the resulting quality of project portfolio decisions. The findings show that the type of data representation may influence the quality of decisions and that the use of network mapping displays is correlated with the best results. This paper discusses the evolution from Web 2.0 to Web 3.0, which will integrate and tag Internet data to make searches more focused and customized to user needs, and promises to impact both teaching and learning in higher education. Concerns raises around Web 3.0 are also included. Many professors will invariably be called to teach online courses. The session will offer valuable insights regarding e-Learning, m-Learning, social media and gaming. What is the Role of Organizational Creative Climate in Open Innovation? This study focuses on: Which kind of open innovation activities is most strongly influenced by organizational creative climate? The results suggest organizational creative climate positively moderates the relationship between open innovation activities and innovation performance. Especially, inside-out open innovation activities have significantly stronger moderating effects than outside-in and coupled activities. As countries demand of energy grows and “greener” initiatives are wider spread, the global trend is towards “Smart Grids”. This study analyzes concepts of published research, identifies the hottest, and determines relationships. We analyzed 474 abstracts and the results show the importance of ICT and consumer participation in this process. Which Enterprise Resource Planning Software is Right for you? A Comparison of two Widely Adopted ERP Software. There are many professional ERP systems available for businesses to purchase. How do they decide which system is best for them? The comparisons of two implemented ERP softwares provide some insights for companies using the MRP aspects of these ERP implementations. Which Service Characteristics Determine the Degree of Customer Co-Production in Service Generation? Drawing from Chase’s customer contact model and customer co-production in operations and marketing literatures, a three-dimensional framework is presented for service process design. These composite dimensions are derived by combining the appropriate attributes from a list of nine common attributes of business services. Research implications are then discussed. We seek to answer the fundamental question “Do major life events play a role in altering the structural properties of an individual’s social network?” We tested our hypotheses by longitudinally analyzing the network activities of 15,276 users of a social network affiliated with a major US university. This paper offers explanation on why firms trade-off or accumulate operations capabilities by invoking the performance frontier theory and the dynamic capabilities view in the Australian airline industry. Results of our longitudinal study indicate that competition based on the DCV is a potential explanation of firms’ choice of operations strategy. The study focuses on users’ multiple IT services adoption behavior: whether people prefer to adopt new IT services from an experienced IT provider. By drawing insights from IDT, we provide a research model and a series of methods to empirically test it. Potential theoretical and empirical contributions are also provided. In this paper, we explore how trust and privacy management strategy affect the relationship between privacy attitude and social network disclosure behaviors based on a survey completed by 305 Facebook users. Our analysis shows that the relationship between privacy concern and self-disclosures are controlled by trust and privacy behaviors. This study analyzes consumers’ willingness to pay (WTP) for wind generated energy and examines how attitudes, deontological evaluation, and teleological evaluation affect WTP. After surveying 268 individual respondents, our results suggest that attitude, deontological, and teleological evaluation positively impact WTP for wind generated energy. Copyright 2013 by All Academic, Inc.